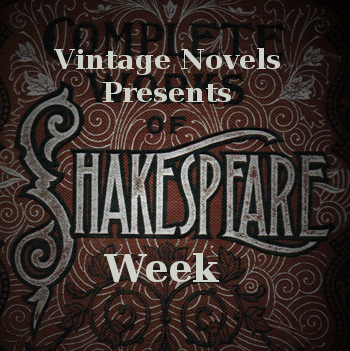 Shakespeare, most famous for his tragedies, also (of course) wrote comedies. While many of these were comedies in the ordinary modern sense--funny and entertaining--it's worth remembering that "comedy" simply means a story that ends not with a death but with a wedding. As a result, if you read or watch Measure for Measure hoping for something as cheerful and batty as, say, Much Ado About Nothing, or A Comedy of Errors, you will be disappointed. A dark drama of hypocrisy, true goodness compared with true evil, sin and forgiveness--Measure for Measure takes place in Vienna, where the Duke Vincentio makes it known that he is leaving the city in the hands of the strict and incorruptible Angelo while he undertakes a diplomatic mission. In reality, he's disguising himself as a friar in order to mix with the citizens, gauge public opinion, and test Angelo's true character. Winding with sombre sensationalism towards its happy ending, Measure for Measure is another example of what Shakespeare did best: a good story, told very well. 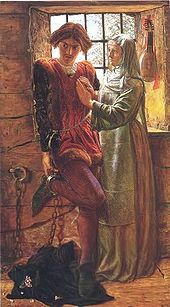 While nowhere near as well-known these days as some of his other plays, it was at one point rather popular: Tennyson's Mariana in the South is based on the character of Mariana in the play, and the Pre-Raphaelite painters painted various scenes (pictured: Claudio and Isabella by William Holman Hunt). I think the reason this play strikes such a chord is because, among the many unlikeable and sordid characters, the character of Isabella retains such invincible and indomitable purity. The play's ending is also satisfying, with the villains' attempts to conceal their wrong-doing being utterly thwarted--and the transcendent mercy shown by the heroes. I have seen and can recommend the BBC version of Measure for Measure with Kenneth Colley as the Duke, Tim Pigott-Smith as Angelo, and Kate Nelligan as a very convincing Isabella.